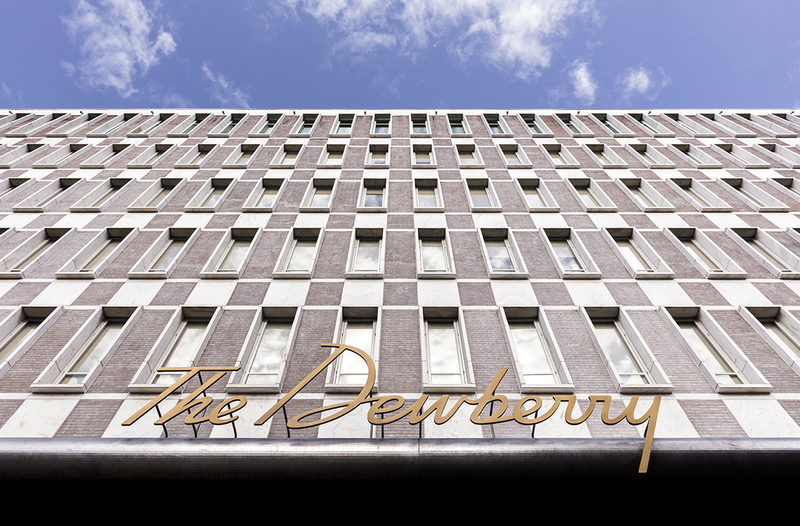 In 2016, Dewberry Group opened The Dewberry hotel in the renovated and repurposed former L. Mendel Rivers Federal Building. 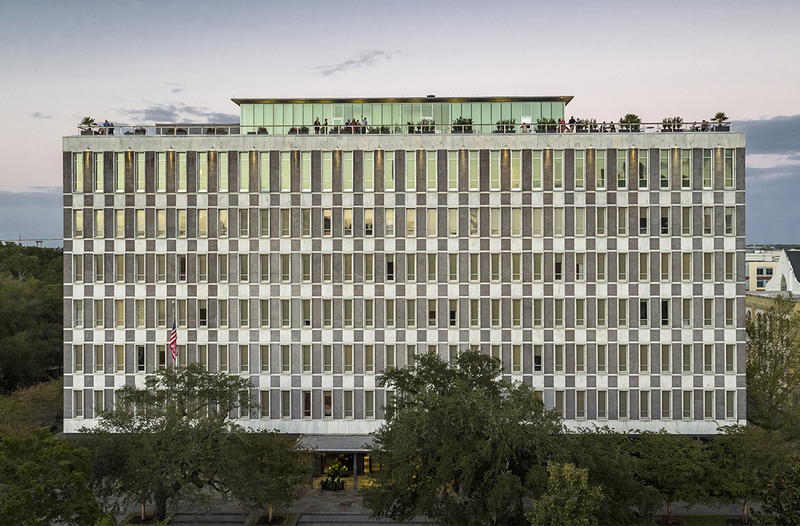 Originally used as Charleston’s Government Service Administration office building, this mid-century modern structure is located on two acres across from Marion Square on Meeting Street. 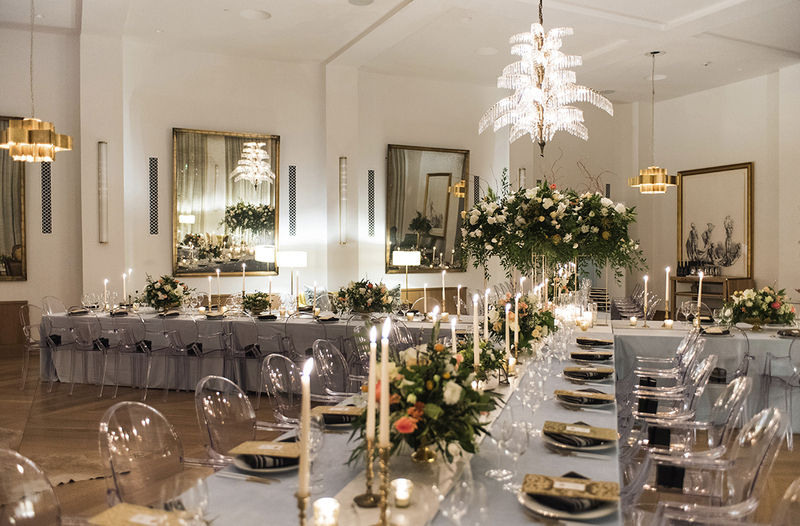 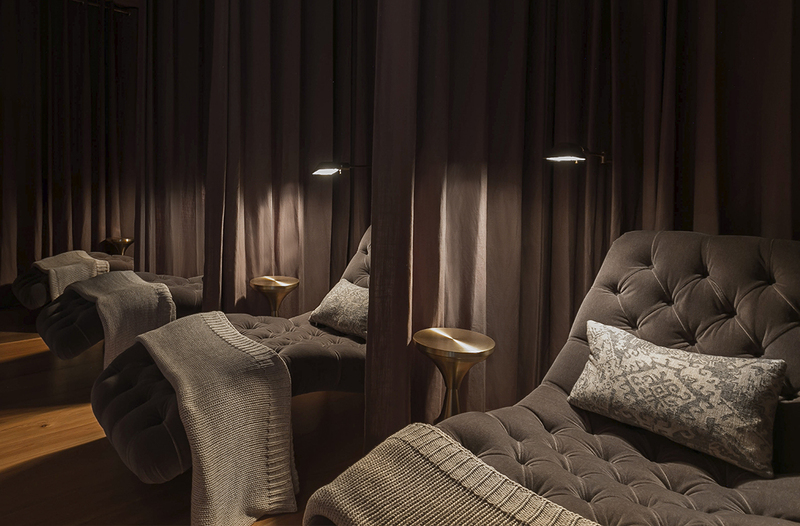 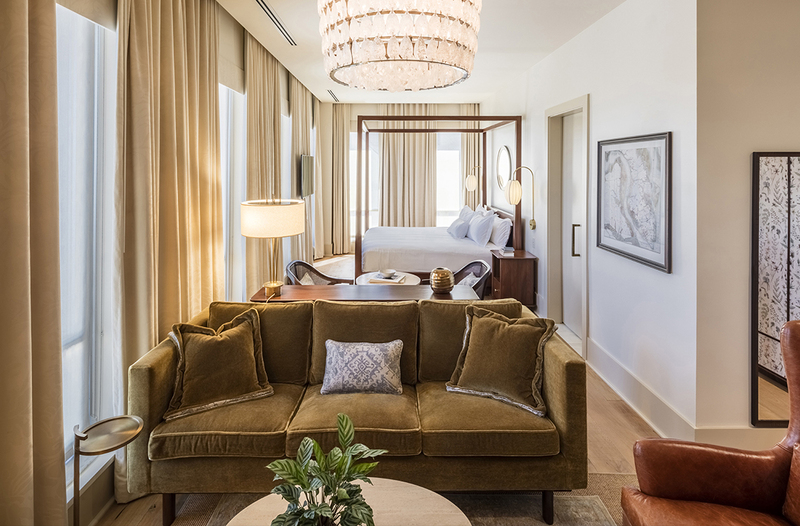 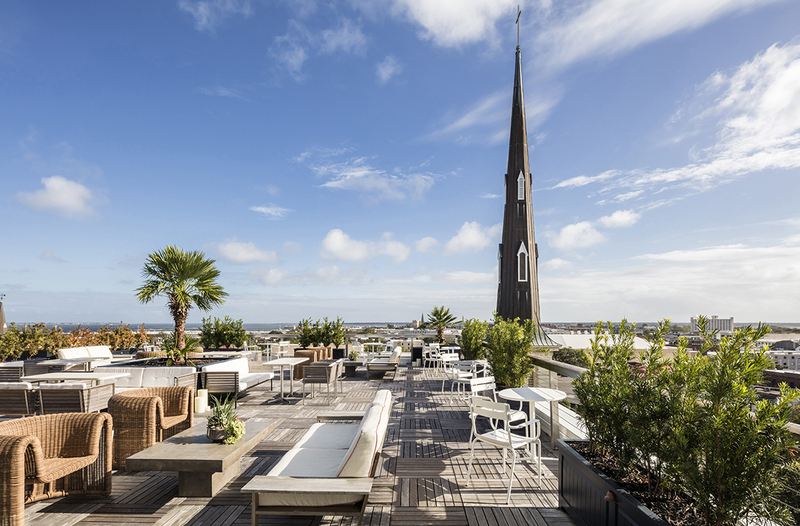 As much a setting as it is a state of mind, this five-star hotel was brought to life over the course of eight years by John Dewberry, Studio Dewberry, Workstead and a team of architects and designers who shared Mr. Dewberry’s mission to present Charleston from a uniquely personal perspective. 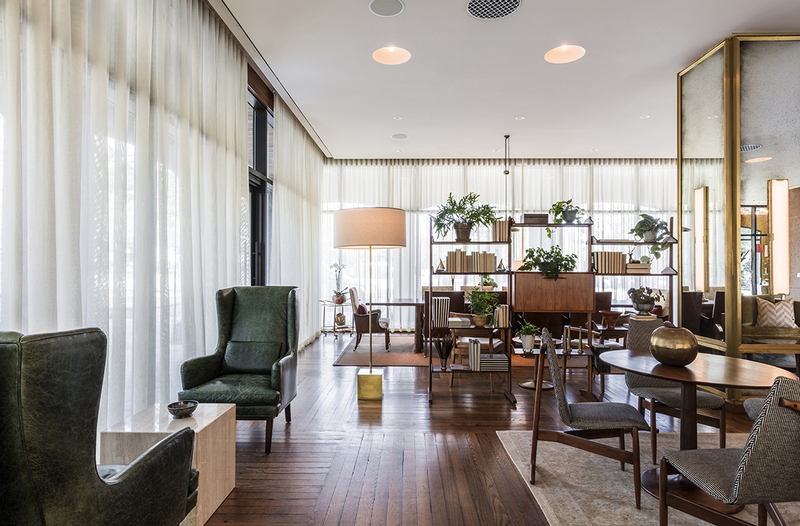 The result is a thoughtfully imagined, award-winning juxtaposition of past and present that redefines what is possible when top-tier design marries preservation. 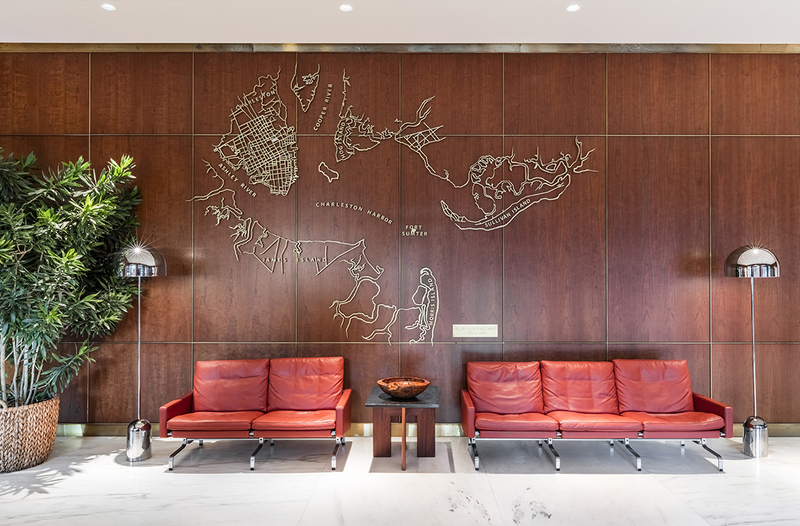 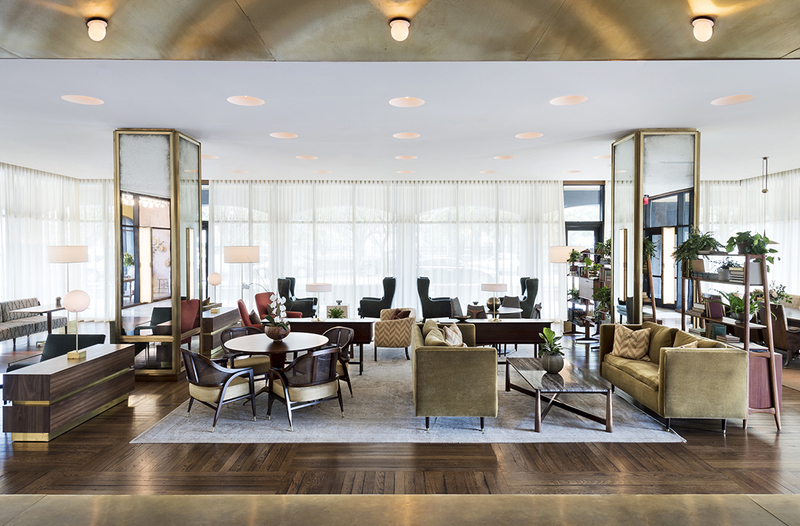 Although Dewberry Group recreated the building’s interior, the marble-and-brick facade has remained largely intact, thereby preserving the architectural integrity of this John F. Kennedy commissioned mid-century building. 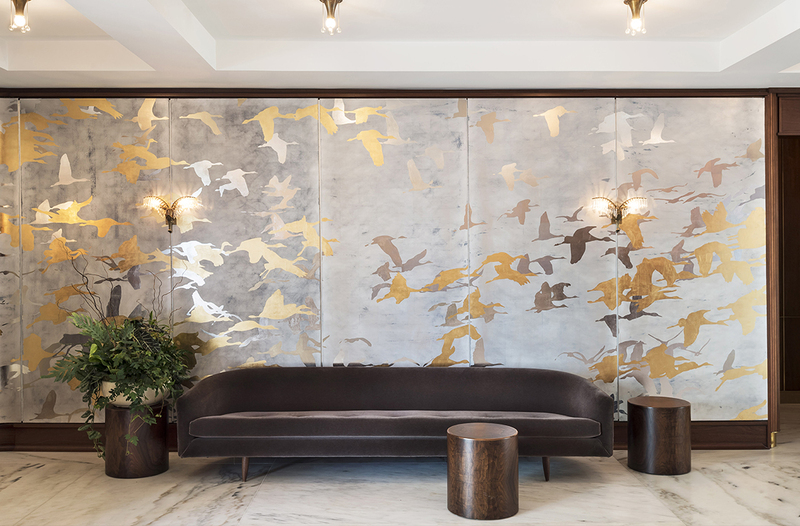 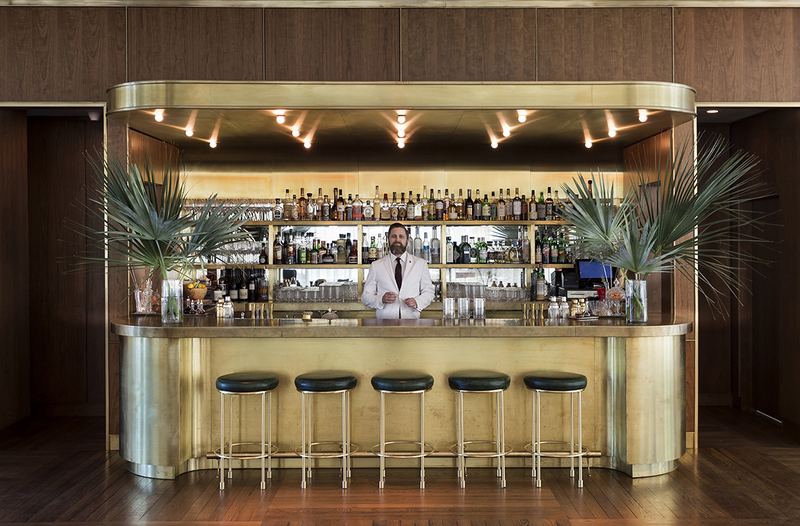 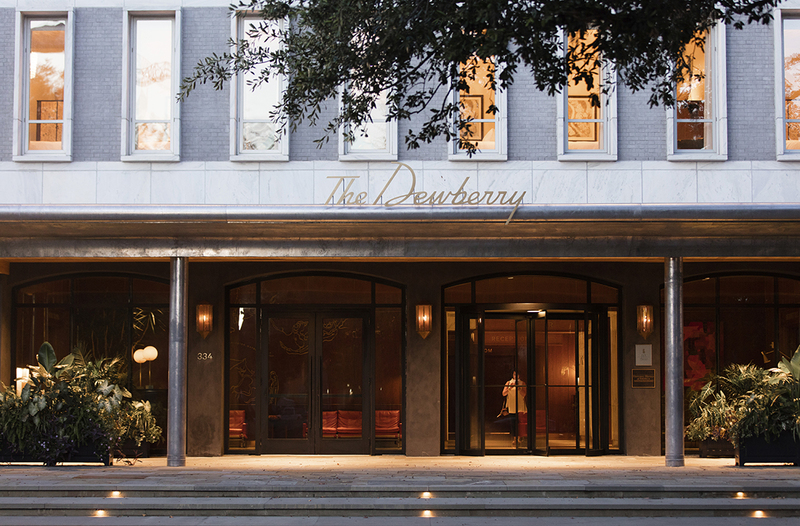 LEED-certified, The Dewberry offers 155 luxurious guestrooms, and features Henrietta’s a Southern brasserie, the timeless Living Room bar, rooftop venues Citrus Club and the Rivers Rooms, and the Dewberry Ballroom. 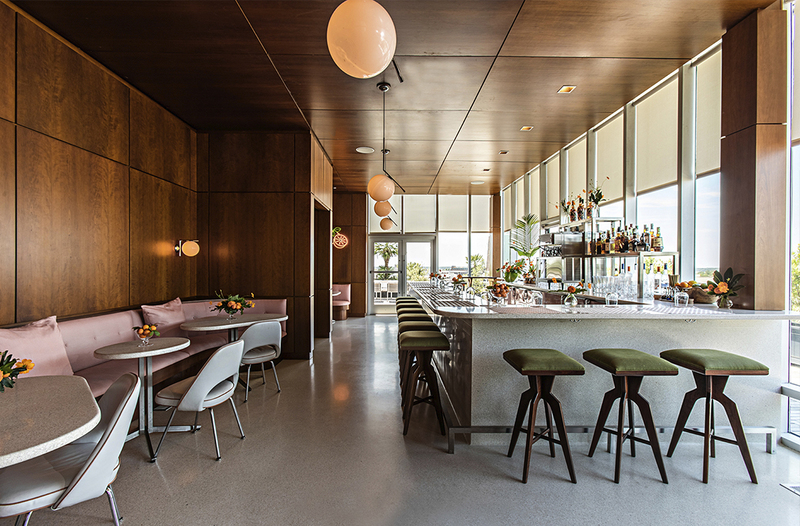 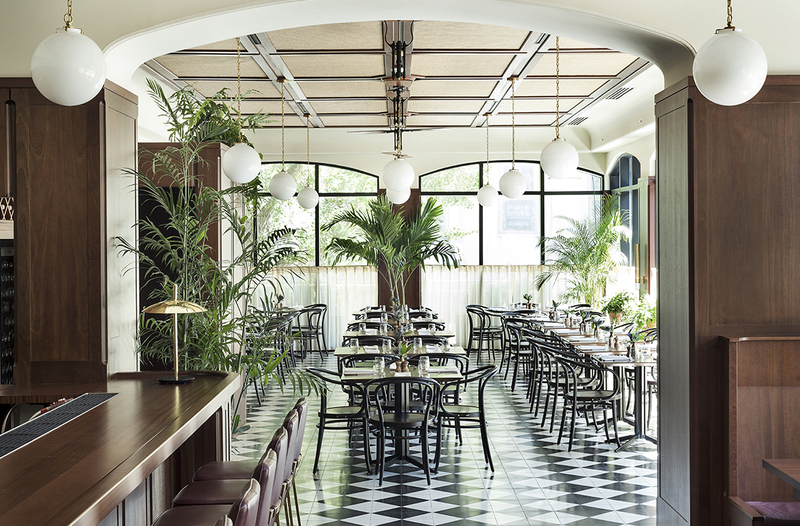 The original 1960s lobby marble was preserved and re-cut and, today, lives as the table tops on Henrietta’s outdoor dining terrace.